Wilmington, Mass. : Great Source Education Group, 1999.
x, 542 p. : ill. ; 24 cm. 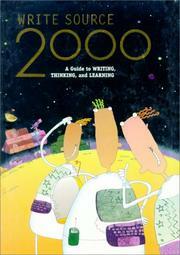 Write source 2000 : a guide to writing, thinking, and learning / written and compiled by Patrick Sebranek, Dave Kemper, and Verne Meyer ; illustrated by Chris Krenzke. English language--Composition and exercises--Study and teaching (Middle school)--Handbooks, manuals, etc. 100 ME:PersonalName 1 $a Personal name Sebranek, Patrick. $c Statement of responsibility written and compiled by Patrick Sebranek, Dave Kemper, and Verne Meyer ; illustrated by Chris Krenzke. 505 ContentsNote 0 $a Formatted contents note The process of writing: Learning about the writing process -- Using the writing process -- Basic elements of writing -- The art of writing -- The forms of writing: Personal writing -- Subject writing -- Creative writing -- Report writing -- Workplace writing -- The tools of learning: Searching for information -- Thinking to learn -- Reading to learn -- Learning to learn -- Proofreader&apos;s guide: Marking punctuation -- Edition for mechanics -- Improving spelling -- Using the right word -- Understanding sentences -- Understanding our language -- Student almanac: Language -- Science -- Mathematics -- Computers -- Geography -- Government -- History. $v Form subdivision Handbooks, manuals, etc. 700 AE:PersName 1 $a Personal name Meyer, Verne.